In sorting through your belongings, it is most helpful to create three piles: yes, no, or maybe. Downsizing is often an essential aspect of searching for a new home during retirement. While many of your belongings may have remained in your home for your kids, pets, or frequent guests, your retirement is your time to eliminate the excess and enjoy what is yours. As you prepare to move into a new home, consider these tips for smart downsizing practices during your retirement. In sorting through your belongings, it is most helpful to create three piles: yes, no, or maybe. Once your belongings are properly sorted, you will be able to see which ones you are getting rid of more easily. As you plan your downsizing strategy, it is best to begin by tackling smaller collections of your belongings at a time. This strategy will allow you to think clearly as you sort your things, unlike taking on a large amount of sorting at once, such as a full basement or garage. Although a formal dining room or finished basement may have seemed appealing as you purchased your former home, these may not be rooms that you plan to use in the future. Instead, consider which rooms you are using the most to downsize in a space that has exactly what you need. While some items may be thrown away, you may be able to sell other items. Why not make the most of gently used items that are in working condition? By selling certain items, you are not only downsizing, but also making extra money as well. If you spent a significant amount of time in your current home, you might find that you have several duplicates of certain belongings around your home. One of the most effective ways to downsize is to begin by eliminating duplicate items, such as irons, cooking utensils, or throw blankets. By allowing yourself plenty of time to organize and eliminate unnecessary items, you are also ensuring that you are keeping only what you need. Rushing through the process of downsizing could lead you to get rid of items that you may need in the future or items that you were not ready to let go of yet. Not only is a way to create memories and spend time with your loved ones, but it is also a resource for double-checking your decisions throughout the process. 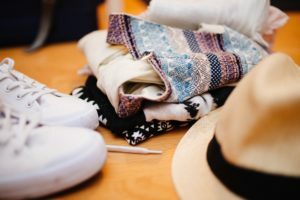 The people who are closest to you will be able to help you gauge which items you will use, and which items you should let go of to downsize effectively. If you are looking to purchase a new home, trust Jack Cooper Law for affordable, professional, and accurate legal and real estate assistance. Let our excellent team of experienced Maryland real estate attorneys provide you with expert counsel and information. In working with Jack Cooper Law, you will have access to our excellent industry contacts, from trusted and reliable lenders to home inspectors, contractors, and service providers throughout your selling process. No matter where you are located in Maryland, our team is ready to work with you! Call us at 410-465-5822!